When you think back on 2017, will you remember it as a calm and positive year? From a market perspective, that’s exactly what it was. For the first time in history, the S&P 500 was up every single month of the year. It also never moved more than 2% in a single day. Despite everything going on in the world last year, markets were extraordinarily calm. Moving in to 2018, we’ve already had one 10% pullback, four pullbacks of at least 5%, and the market has moved 2% or more on seven days. So we’re making up for some of last year’s peace and quiet. For perspective, on average the market has one 10% correction per year, four 5% corrections, and eleven 3%. So while we’ve packed it in to a short window, 2018 has been much more “normal” than 2017 was. Despite all the volatility, most outlooks still call for us to make it through 2018 without a recession. In fact, economic data in the U.S. and around the world is quite positive. What does that mean for the average investor? Most of all, stay balanced and disciplined in your approach. You’ve heard us preach these principles in the past, and they stay as true today as ever. We still expect a positive future, but the road is going to be a lot bumpier. We’re here to help guide you through this, so if you have any questions please don’t hesitate to ask. Every Spring we hold a number of events to spend more time with all of you, share some insights, and generally have a good time. Last week in the Elk River area we had a great dinner with many of you. Thanks to everyone who came out and shared an evening with us. Come join us for a fun, private evening at the Great Lakes Aquarium. Stroll through the Aquarium at your leisure, watch the feeding of the sturgeon or enjoy one of the several breakout sessions. The tax reform bill passed in Washington created the most comprehensive change to our federal tax code in 30 years. The changes are broad and impact individuals, families and companies, though in varying degrees. Join us to learn about changes for 2018 and strategies to help you make the most of it. Mark Zuckerberg is probably not the only person thinking about cybersecurity these days. Come join us for a great meal and hear from an expert on Cybersecurity, including ways you can protect yourself on the web. As always, these events are open to you, family, and friends. Feel free to share the invitation, and be sure to RSVP as space may be limited. Trade Tensions Rising – follow the link for a short video from John Hancock Investments chief economist Megan E. Greene on what the recent tariff and trade news may mean for us moving forward. Q2 Economic and Market Outlook – Nuveen Chief Investment Strategist Brian Nick runs through some of the good and bad signals in the world that influence his view of the world today. You’ve probably heard a lot of discussion about the new tax reform. If you’re wondering what’s changed, check out our summary here. American Funds has put together a good summary of key items for investors: What 2018 Tax Reforms Mean for Investors. JP Morgan has also put together a more analytic summary of the changes. If you’re looking for deeper analysis, give it a whirl: The investment implications of tax reform. In case you missed it, our very own Tom Endersbe was named to the Financial Times list of 400 Top Financial Advisers in the U.S. Read more about it on our blog. In 2018, we’ve decided to make a few changes to the newsletter, biggest of which is that we will now be sending it out on a quarterly rather than monthly basis. So expect more content per newsletter, and for more frequent updates be sure to follow and like us on Facebook, LinkedIn, and Twitter. JBen is an active advisor working out of our St. Louis Park and Duluth offices. He lives in Plymouth with his wife, Katrina, and his children, Livian (5), Adeline (2) and Boden (10 months). Ben grew up Pelican Rapids, a small town in northwestern Minnesota, and moved to Minneapolis to attend college at the University of Minnesota. 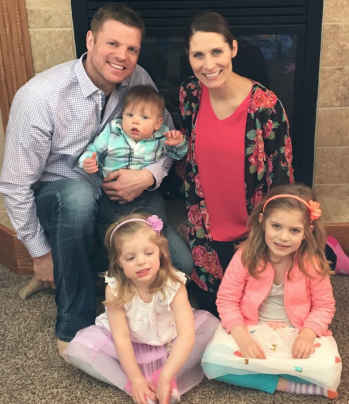 Ben enjoys giving back to his community by volunteering and is currently active in his local Wayzata Rotary (former Board Member), St. Philip the Deacon Lutheran Church (former Council Member), and Greater Wayzata Area Chamber of Commerce (current Vice Chairman). Outside of work, Ben loves to spend time with his family, participate in various outdoor activities and travel back to Pelican Rapids.